It was only by chance that I ended up in Juneau, AK for a travel nursing assignment. I wanted to work in Anchorage so bad and was a little bit bummed that I was headed to Juneau instead, but I am so happy that is how it played out. Juneau is the capital of Alaska, and the second largest city in the United States, by area, but definitely not by population (only 32,000 people live in Juneau). 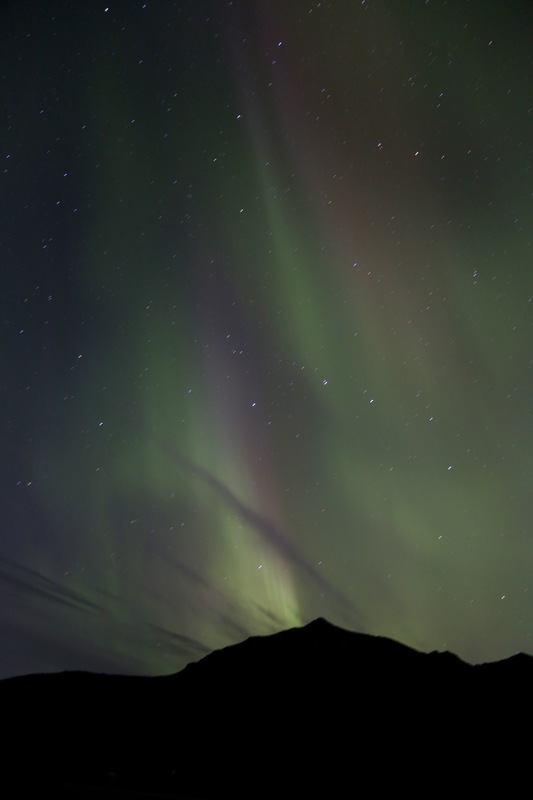 Juneau is simply magical, and the following, are the reasons that make it so special to me. The mountains in Juneau surround you with their green color and cascading waterfalls. Even though there are only a few roads in Juneau, when you drive around, all you see are mountains; and not just one or two, or in just one direction… everywhere. Where there are mountains and rainfall, there will be waterfalls; and there are hundreds of them in Juneau. Everywhere you turn your head, you see waterfall, after waterfall. New seasonal waterfalls appear with every rainfall. Along every single hike that I completed, there was at least one waterfall. I can’t describe why I have such a love for waterfalls. Is it the white noise that I’ve used on countless nights to fall asleep to, or is it that something we take for granted, such as water, can hold so much beauty, or maybe it is simply because each waterfall is so unique and photogenic. I can capture each waterfall in a photograph and revisit the feeling whenever I wish. The waterfalls, and beauty that surrounded me in Juneau, made time go by so quickly while hiking. There is a wonderful book that can be purchased at any local bookstore in Juneau called 90 Short Walks Around Juneau by Mary Lou King. I tried to complete each hike in my 3 month stay, but it was impossible. However, a few of my favorite hikes in Juneau are Mt. Juneau to the Juneau Ridge and down Granite Creek Trail, Perseverance Trail, and the Mendenhall Glacier Ice Caves Trail. Another reason I loved hiking in Juneau is because the trails rarely have many people on them. They aren’t tourist packed like Yellowstone, or crowded with locals on the weekends such as in Portland. They are quiet, your dog can be off a leash and you are alone with nature. A place you can really get lost in nature, and find your true self. The Tongass National Forest is the largest temperate rainforest in the world. As you wander through the rainforest, Sitka Spruces shield most of the rain from ever touching your skin on those rainy days, while providing great shade on those sunny days. Sun rays sneak through the canopy coverage, my eyes would follow their light up to the clouds of heaven, while my heart would be thanking God for shining his light on all the beauty He has created. I have never experienced wild life as I experienced in Juneau. Humpback whales, orca whales, sea otters, harbor seals, beavers, porcupines, bald eagles, salmon, brown bears, black bears and mountain goats are just a few species you might run into while in Juneau. Porcupines are one of my favorites; they are the funniest and most adorable creatures. They often would walk along the trails, for ease of walking, because they are quite lazy. They are also very fearful creatures, often getting this terrified look in their eyes when they see you. The little cutties would try to run away, although their run is just a fast little wobble; I couldn’t help but smile at their pure cuteness. I never felt threatened by them, except when I didn’t know much about them. However, I wish my presence didn’t scare them into a fearful wobble. I’ve heard there are only black bears in Juneau and I have also heard that there are few brown bears, but typically where people don’t hike. Although I saw quite a few black bears, I never felt threatened by them. I learned a lot about bears and bear safety while hiking in Juneau. I would always play my music on my phone or mini speakers, if alone on a trail (which I usually was), that way the bears knew I was there and I would never startle them, which is one of the main reasons they attack humans. Please research bear safety. Simply put, don’t be stupid! Whales. Whales are everywhere. Please don’t pay for a guided whale watching tour. Take a ferry ride to another Southeast Alaskan city or an all day boat ride to Tracy Arm Fjord and you will see plenty of humpback whales. You can even see them from the shore if you watch closely! The Juneau Ice Field is the 5th largest ice field in the Western Hemisphere, and keeps Juneau isolated from the rest of its neighboring Alaskan cities. However, the ice fields are another reason why Juneau is so magical. Juneau is located on the Gastineau Channel in the Alaskan Panhandle. Although, the ocean waters are not very warm, so going for a summer dip in a bikini might not be on the agenda, but there are still so many options for water activities. How about a short midnight paddle boarding with bioluminescent allege lighting up around each stroke of a paddle, under a meteor shower, while listening to the voices of whales in the background? True story. Like I said, living in Juneau is a fairy tale. Water skiing, leisurely boat rides to various other parts of Southeast Alaska, kayaking and float plane rides are just a few of the awesome water activities that Juneau offers. 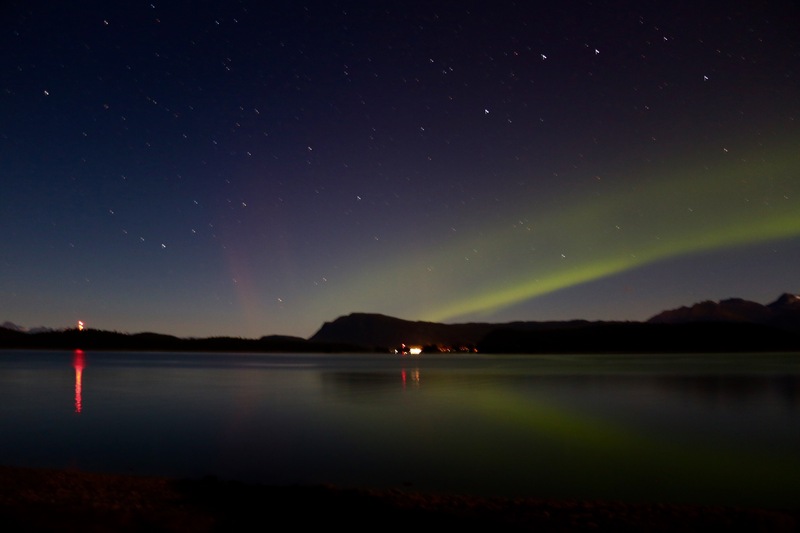 The aurora is actually always in the sky, but hard to see during those long days of summer. The sky also needs to be clear. I remember seeing my first aurora show on my birthday, august 26th. I soon became obsessed with them. Often times, I would chase them all night. How does taking a float plane ride to a remote cabin next to a glacier, eating a fresh caught salmon dinner, while watching a black bear lick the grill sound for an adventure? This Taku Glacier Flight and Feast day was one of my favorites; I actually did it twice! If you go on a sunny clear day, the sights during flight are breathtaking. Or, how about taking a helicopter ride to the top of a glacier and go dog sledding with real Iditarod racing teams? If being on top of the glacier doesn’t sound ideal to you, maybe hiking to the belly of a glacier to the most amazing sight you will ever see… a glacier ice cave! Another cheaper option is to take the tramway up to Mt. Roberts to admire the view and take a few short hikes along top of the mountain. Although many of the tourist activities can be a little pricey, there are dozens of hikes that are just as awesome; plus, they are free! Most of all, I love Juneau because of the people and everlasting friendships that were made there. It is a small town feel, but in such a wonderful way. I quickly made new friends who invited me to do activities, would often open their homes to me, and help me explore the beautiful city. People you came across while hiking were so nice, and locals were always willing to educate you on safety, hiking, and what to see in Juneau. The people are just simply awesome. Perfectly stated by National Geographic, “Big trees, big birds, big fish, big bears, immense peaks wrapped in great glaciers that break off into bays where great whales spout: This is Southeast Alaska” (http://ngm.nationalgeographic.com/2007/07/tongass/chadwick-text). This… This is why I love Juneau.